The information presented on this page was originally released on October 28, 2015. It may not be outdated, but please search our site for more current information. If you plan to quote or reference this information in a publication, please check with the Extension specialist or author before proceeding. Seale is on a cross-country mission, looking for lumber from the Southern pine region cut from dozens of different mills. Once he finds what he needs, he buys it and takes it back to MSU’s Department of Sustainable Bioproducts at the R.T. Clapp Forest Products Lab. 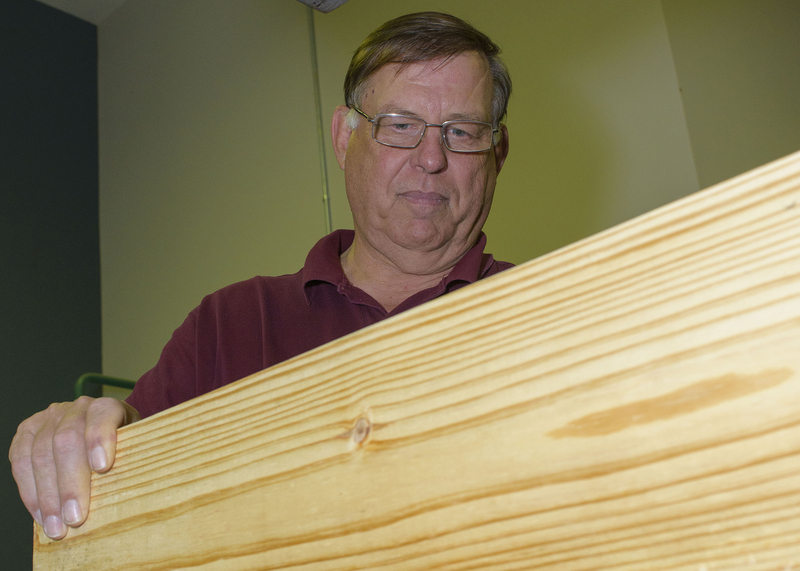 Seale and his colleagues subject these lumber samples to some of the most rigorous testing and scrutiny in the industry. Seale works with Rubin Shmulsky, head of the Department of Sustainable Bioproducts and associate director of the Sustainable Energy Research Center; and David Jones, an associate professor with the MSU Extension Service and Forest and Wildlife Research Center. They are in the pilot phase of a randomized sampling project designed to add value to Southern forests. 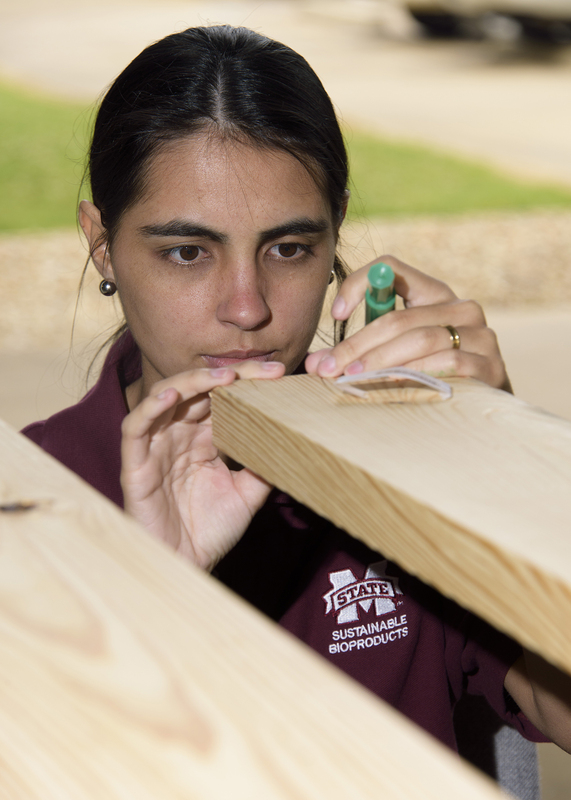 The MSU team, understanding the significance of the timber industry to Mississippi, is passionate about helping the state make the most of this abundant natural resource. Their goal is to provide a scientific framework for accurately evaluating this important commodity. Over the past few years, all lumber has come under closer scrutiny, Seale said. Given lumber’s many uses, particularly in construction, this scrutiny is necessary to keep people safe. With a background in agricultural economics, Seale is fascinated by data and how it can be used to support sustainable forest products. So he and his colleagues secured a grant from the U.S. Department of Agriculture Agricultural Research Service for a three-year investigation unlike anything they have done before. Seale, Shmulsky, Jones and a team of graduate students are conducting a series of tests related to lumber grade, stiffness and strength. They will characterize the physical attributes of each board and use nondestructive techniques, including stress wave analysis, to predict strength and stiffness. They will then break the boards and analyze the accuracy of the tools used to predict the lumber values. The team will also use industry methods to characterize the break or failure of each board. Each one of the thousands of boards will have more than 50 measurements and resultant calculations. Shmulsky said the team’s long-term goal is to maximize the value of pine lumber and timberland. Finally, the researchers will synthesize the data and create statistical models that can be used to develop new forest product valuation techniques and standards, investigate new products and markets, and address any challenges they encounter. Jones said this project has the potential to impact landowners and lumber mills in several ways. To conduct this testing, an elaborate system has been set up in the MSU Department of Sustainable Bioproducts. It includes a video system that records each board as it is broken, along with several instruments that test different strength factors, such as stress waves and vibration. The system’s overall is to improve lumber performance and valuation.